Bridge financing is a term that gets thrown around a lot. Traditionally, bridge financing means that you're trying to bridge two events and need some capital for it. Bridge financing, often in the form of bridge loans, tends to be expensive. These loans are meant to help with a very short-term need, and bridge loans normally require a very well-defined plan. You get the financing for a specific reason, and you pay the interest or fees for it; then you get out. Overall, the entire process is very simple and straight-forward. 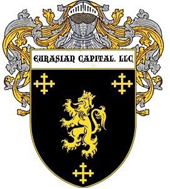 Eurasian Capital, LLC is dedicated to connecting people like you with direct access to private equity capital ASAP. When is a Bridge Loan Appropriate? Two of the most common uses for commercial bridge loans are to refinance an existing commercial asset or to purchase a new one before you sell the existing asset. Your bank or lending institution may deny your loan application if your credit is less than perfect. Eurasian Capital, LLC can help you to leverage the equity in your commercial real estate, equipment, or other assets that you already own or plan to buy to get the loan you need when you need it. We can fund all types of commercial assets, including apartment buildings, industrial buildings, office buildings, hotels, shopping centers, medical buildings, and equipment. At Eurasian Capital, LLC, our sole focus is on building relations with borrowers and giving them direct access to private equity capital. We routinely work with borrowers who are searching for competitive commercial financing for transactions of more than €500K. When your bank doesn't help, then you need a short-term loan. With Eurasian Capital, LLC, you will get a response within a business day from the time you submit your loan application. In less than two weeks, you will be able to finance your transaction. When we receive a loan inquiry, we will let you know right away whether it's something we can help you with. We may ask you for additional information, such as an executive summary or a package - whatever you have on the deal - because we pride ourselves in a very valuable term sheet, and we like to do our due diligence up front before issuing a term sheet. As soon as we get the green light, we'll issue a term sheet. As soon as we get a signed term sheet and a deposit from you, we'll move forward with our further due diligence. This includes an initial site visit which is usually planned within a business week. Once a site visit is complete, we will continue with our due diligence and get an appraisal. After a site visit, we execute our loan docs, and then we're ready to close. Within a very short time, your bridge loan will be approved. Eurasian Capital, LLC is here to help finance transactions during the bridge period and give you access to private equity capital.